I study the ecological effects of land-use change and climate change on plant communities. My research is focused on long-term changes in flowering phenology and local abundance across communities in the Northeast. I study the effects of climate change and invasive species on autumn phenology, with a focus on bird-fruit interactions. 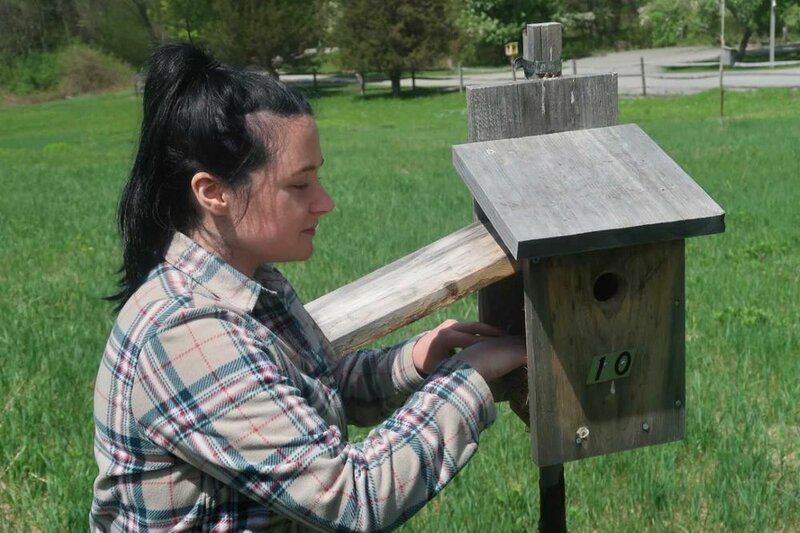 I study the combined effects of global change on the phenology, reproductive success, and potential for ecological mismatch in a declining species of aerial insectivorous bird, the Tree Swallow, and their insect prey. I study the effects of climate change on plant and wildlife populations in the Northeast. I study the amount of time evergreen plants retain their leaves, including factors that affect this and the effect it in turn can have on an ecosystem. I study the causes, consequences, and management (including communication) responses to environmental change in protected areas. I focus mostly on forest ecology and citizen science, but get involved in lots more. I study how climate change is affecting flowering and leaf-out times for plants in the Eastern US.